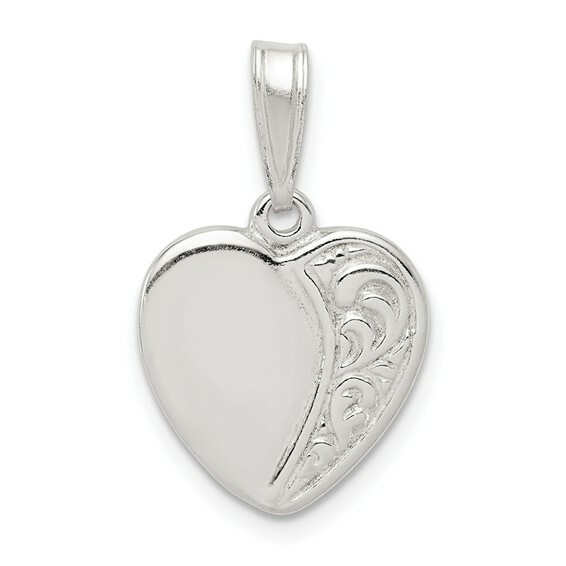 Flat patterned heart pendant is made of polished sterling silver. 1/2 inch tall by 1/2 inch wide without bail. Weight:1.5 grams. Fits up to a 3mm wide chain. Import. We ordered 4 sterling silver heart pendants for our four little flower girls...and could not be more pleased!|The jewelry pieces are beautiful - and they arrived in a flash!|Thanks so much!